DAVID WALLACE is a senior producer and strategist for documentary video with the Arizona Republic/ azcentral.com. 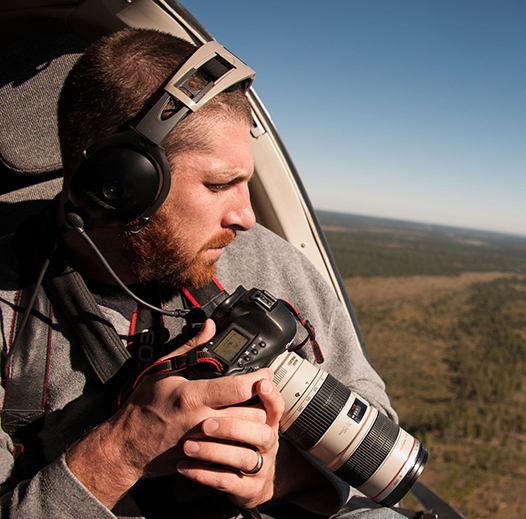 He was previously a senior staff photographer at the Arizona Republic. He has worked as a visual journalist for 18 years, also at newspapers in Iowa, Florida and Michigan. He has documented issues ranging from the U.S./ Mexico border to the environment to child welfare. David was one of the first on the ground following the Yarnell Hill Fire that killed 19 wild land firefighters in Arizona. He covered Pope Francis’ inaugural visit to Mexico, disappearing glaciers in Peru, uranium contamination on the Navajo Nation and two Super Bowls, just to name a few. He was one of the primary members of an Arizona Republic reporting team that won a Pulitzer Prize for Explanatory Reporting in 2018 for their coverage of the U.S./ Mexico border. He has also won numerous awards in photo and video journalism, from the National Press Photographers Association, National Academy of Television Arts and Sciences, Associated Press Managing Editors and the Society of Professional Journalists. He received a BFA from the Rochester Institute of Technology. An avid outdoorsmen, David’s interests include hiking, canyoneering and running. In 2001 David thru-hiked the entirety of the 2,650-mile long Pacific Crest Trail from Mexico to Canada. David lives in Phoenix with his wife, Laura Segall, also a professional photographer and their three children. David can be contacted at (602) 653-6228, dsw2925@yahoo.com and @davidwallce on Twitter.